I am not sure anyone will even believe the week I have just experienced. But trust me, it is true. Maybe many of you have had similar experiences. 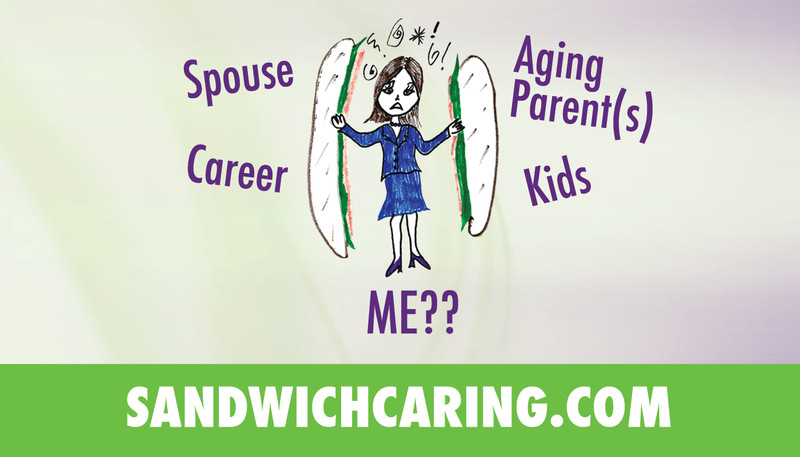 If you are a “sandwiched caregiver” you probably have. Warning, this blog will contain graphic descriptions and content, so if you are not a TRUE caregiver or have a weak tummy, then don’t read this one. My mother has been battling a urinary tract infection for about a month. Our first problem is that while her symptoms are always exactly the same, they don’t meet the most typical symptoms and thus the criteria to prescribe antibiotics. In the beginning, she just becomes a bit more cloudy than usual. Then the cloudiness increases. Then we begin to have more incontinence, especially at night. She is very cheerful but there is a bit of a glaze in her eyes. Then her balance gets even worse than usual, she becomes physically weaker, and grouchy. Then she becomes quite stiff, starts to lean dramatically to one side, and then she begins to move toward delirium. This has been her pattern for about four years now. AND she has also become resistant to many of the antibiotics that are used for a UTI. Then there is the issue of just when we get the urine specimen and send it off to the lab for the culture so that we can know just what kind of bacteria it is we are dealing with so we know which antibiotic to use. The assisted living where she resides, tends to wait a bit too long before even taking the urine sample, then it may take several days to receive results and by then she is way into delirium, not eating, not drinking without a fight…and things just spiral downward. AND THEN it takes her much longer to get better, back to baseline. AND my mother has always been very sensitive to her bowel movements. Here we start the graphic and gross part. Her whole life she has complained if she doesn’t “go” each day. I, personally, can go a week, and I just feel fat. But not “going” really affects her and makes her feel unwell. Since we have been in assisted living we have had a couple of instances of being impacted…poop that just won’t come out. We urge her to drink plenty of liquids, (which also helps with the UTI prevention) fiber – as much as we can manage to convince her to eat, and she “takes something” every other day, that her doctor has prescribed to help her bowels move. In addition, her sphincter muscles don’t work well at all. SO, about a week ago, after being on a strong antibiotic for the most recent UTI, we were not seeing any upswing at all. In fact, after four days of treatment, she seemed to be worse and was still running a fever. She was not eating and she was not drinking much at all despite our best efforts. Finally, we decided she might be dehydrated and maybe we need to go to the ER. Each time she experiences this major delirium ( as in has no idea where she is, tries to eat her napkin and not her food, etc.) someone invariably suggests to me that she may be having mini strokes sometimes known as TIA’s or maybe this is just her dementia worsening. But dementia doesn’t worsen overnight and we have had many CT scans and MRI’s and they NEVER show a TIA. In addition, she has very low blood pressure, low cholesterol, and her neurologist tells me that the chances of her having a TIA at this point are quite unlikely. Mother has also been complaining of stomach pain, for about ten days. The nurses listen to her bowel and tell me she has good bowel sounds. She has small bowel movements so the consensus is, it is just gas. But on this particular day she seems “bad enough” that we go to the ER. We then begin the wait for transport back to the assisted living. One and a half hours later, it is now 1:00 a.m. and the nurse says “ It is a wild night tonight and the transports are all busy. It could be another couple of hours.” So I have my husband get the car, and we literally pick Mother up and put her in the car ourselves. We are back at the assisted living in ten minutes. I, of course spend the night with her. We see little improvement in the next day or so. But finally late Sunday she seems a bit better. I decide we CAN make the neurology appointment we have scheduled for Monday. I desperately want her to see her neurologist as I want his opinion on this. Monday morning, mom is pretty chipper, seems to be much more herself and off we go to the neurologist. He examines her. She is able to tell him where she is and answer some question. She gets her age wrong, and the year wrong and the month wrong, but other than that, she makes perfect sense. He is livid when he hears what we have endured. He again explains that dementia will not worsen overnight. He restates that she is so very fragile that the slightest issue, such as a UTI, constipation, a cold or most anything, can send her in to delirium. But that it is an acute issue and should be addressed. The next day, Mother has declined from the energy and clarity we saw on Monday. I attribute it to the remains of UTI recovery and from exhaustion from the doctor visit. On Wednesday she is even worse, cannot keep her eyes open, and is clenching at her stomach and complaining of pain. At noon, I make the decision to take her back to the ER only this time we go to the smaller, slightly less prestigious hospital, as I am “done” with the big, “premier” place. The ER staff is quick, efficient and courteous. They repeatedly ask if I need anything. They are polite and begin tests immediately. When I see my mother begin to stiffen and become more anxious, they notice as well and ask about it. I explain that she is due a dose of her Parkinson’s medication, and they bring her some!!! They too feel she needs IV fluids, plus they do a few more tests and more extensive tests on her abdomen. After five hours, they conclude, there is nothing else wrong, EXCEPT that they can tell from the abdomen CT that she needs to “poop”. The doctor actually says “There is no blockage but she has a LOT of poop in there that needs to get out.” I ask if they can do an enema. She says “Not in the ER. We could if we admit her, but there is really no reason to admit her.” So back to assisted living we go. She is still quite delirious and so I spend the night with her again. I keep hoping we will see improvement but we don’t. She is quite “out of it” and I feel out of answers. Finally we decide to use a suppository to get some poop out. The poor woman just can’t get it out. It is stuck, so I do something that, the first time I did it was quite gross, now it is simply a necessary task. I use my finger (with a glove and Vaseline) to “help it”. And we get a good bit out. But I can feel more. But after half an hour on the toilet Mother is exhausted. It is now evening, so we put her to bed and we plan to do it again in the morning. During the night Mother becomes extremely restless. She is thrashing about, and throwing her legs over the side of the bed. We are afraid she will literally throw herself out of the bed. She is talking non-stop but making no sense. She is reaching for things, her hands grasping at the air. She seems totally miserable. In the morning, one of the nurses, the new one, asks if I think we should go to the ER! I laugh and say “We have been to two ER’s this week. Apparently, there is nothing wrong with her except she needs to poop! !” I then ask about an enema. The nurses tell me they cannot administer an enema without a doctor’s order and it is the weekend. However, in the event an enema kit showed up in her room and her FAMILY administered one…well, gee, what could they do? So, my husband is dispatched to go to the drug store. My mother is asleep, yet she is still muttering and will not wake up to take her meds. We massage her arms and her back, try to sit her up in bed, I use a wet washcloth on her face and it takes FOREVER to get the crushed pills that we have placed in yogurt into her mouth. Our private caregiver and I lay her back down and strip her from the waist down. Then we place paper pads that we apparently brought back with us from some previous hospital visit and plastic garbage bags under her. It’s a good thing we found those pads. I am told the assisted living has no “clean ones”. Then our angel of a private care-giver assists me in giving Mom an enema. And then I actually have to resort to the “finger help” as well. BUT WE get a TON of poop out! An absolute ton!! We then are able to clean up our mess, put clean sheets on the bed, clean mother up so that she is now lotioned and sweet-smelling and let her rest after her ordeal. After another trip to the potty she is tired, and we put her to bed. She falls in to a quiet sleep and I come home to my own bed and my supportive and caring husband But I am nervous the phone may ring at any moment. It seems that hospitals don’t really want you there unless you need an expensive surgery. Their purpose seems to be to send you BACK not bring you in and help make you well. Interestingly, I have NEVER received any kind of satisfaction survey from the larger, “premier” ER. Yet just two days after our visit to the smaller ER, I received a satisfaction survey to fill out and mail back, with postage paid. I was able to express my satisfaction for their customer service, their kind attention, their clear explanations and quick service. I did express my disappointment that the “poop” problem was not taken care of at the ER. But our experience there had at least been a much more pleasant one, with staff who seemed to care and understand. Bottom line, as I have said before, our healthcare system is so absurd, so convoluted and often SO very absent in the “care” aspect. And this caregiving journey is a long and extremely challenging one. It is exhausting and confounding and complicated. I often think that we simply live too long. There is something to be said for getting hit by a bus while we are still functioning at full speed. We have learned to “fix” many medical issues, but we cannot necessarily ensure quality of life. And, each person that offers help, concern and assistance is a blessing, whether it be a nurse, physician, friend, husband, sibling, child or paid caregiver. Unfortunately, sometimes it seems they are few and far between. This entry was posted in caregiving, dementia, life challenges, parents, planning for the future, sandwichcaring, Uncategorized and tagged delirium, dementia, ER on August 24, 2014 by janestory.